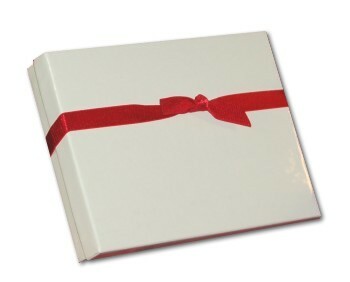 Christmas morning chaos is all the more exciting when five little ones are tearing open gifts. 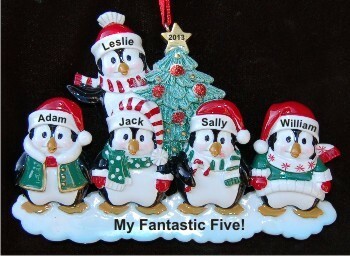 Those unforgettable moments are captured forever in the 5 styling penguins, our fabulous grandkids personalized Christmas ornament that works just as well for parents and families. Each of these grandparent ornaments is crafted and painted entirely by hand, including the names, year and custom message you choose. An attractive holiday cord is attached, and our exclusive velvet drawstring pouch encloses the 5 styling penguins grandkids ornament personalized to make it one of a kind.